It’s only 57 days until our country’s mid-term election. Now is a good time to put out a display to encourage voting, both for our youngest customers who are future voters and for their parents and other family members who are eligible now. Maybe some of us have ongoing displays encouraging civic engagement for all ages and maybe some of us only trot out the election books and voting booth decor during presidential election season. But this is shaping up to be a mid-term election of potentially historic consequence, and it’s taking place in a year when young people, the very ones the books in our young adult sections are written for, have risen up and become very actively and very publicly involved on a scale I haven’t witnessed before. Many will be (or at least should be) voting for the first time this November. Whether your bookstore is gleefully partisan, carefully bipartisan, or totally apolitical, let’s not pass up the opportunity as trusted resources in our community to help get out the vote and help voters make thoughtful, informed decisions. 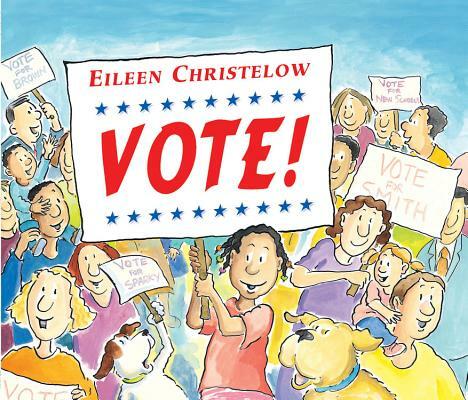 Building on Elizabeth’s excellent 2016 roundup of books on voting and why it matters, here are some newer books for young readers that shouldn’t be overlooked. First up, newer books about voting and elections. You might consider Votes of Confidence: A Young Person’s Guide to American Elections (revised and expanded for the midterm elections in 2018); Vote! 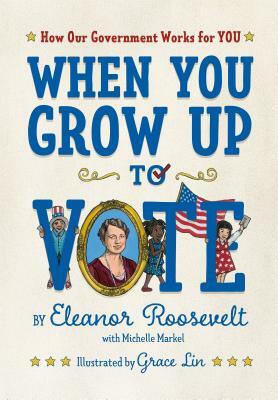 (updated for the 2018 midterm elections); Roses and Radicals: The Epic Story of How American Women Won the Right to Votes; and one I’m especially looking forward to called When You Grow Up to Vote: How Our Government Works for You:by Eleanor Roosevelt. Originally published in 1932, this new edition is “revised and updated for a contemporary audience” by author Michelle Markel and features illustrations by the amazing Grace Lin. Books to inspire civic engagement and social activism: Marley Dias Gets It Done And So Can You! ; Shaking Things Up 14 Young Women Who Changed the World; The Little Book of Little Activists. And, although not about the process or history of voting, per se, it might be good to remind people, through our displays and recommendations, of some important issues and groups of fellow humans who will be directly impacted, one way or the other, by the results of these elections on all levels from local offices to Congress. 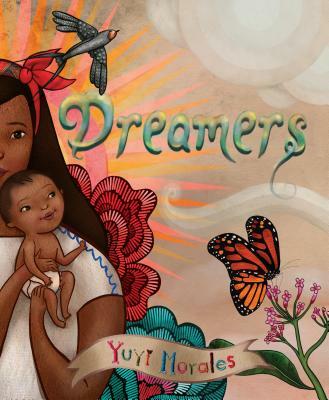 Immigrants and immigration: First Generation: 36 Trailblazing Immigrants and Refugees Who Make America Great; Her Right Foot; Dreamers; Illegal; My Family Dividee: One Girl’s Journey of Home, Loss, and Hope; Seven Pablos: La Frontera; El viaje con papa / My Journey with Papa. Women’s rights, including but not limited to sexual harassment law, pay equity, and more: Our Stories, Our Voices: 21 YA Authors Get Real About Injustice, Empowerment, and Growing Up Female in America; Feminist Baby; Rad Girls Can: Stories of Bold, Brave, and Brilliant Young Women. LGBTQ rights: Last Week Tonight with John Oliver Presents a Day in the Life of Marlon Bundo; George; LGBTQ: The Survival Guide for Lesbian, Gay, Bisexual, Transgender, and Questioning Teens (third edition, revised); Queer, There, and Everywhere 23 People Who Changed the World; Love Is Love. Of course, there are many other issues we would do well to spotlight, including environmental regulation, indigenous rights, prison reform, and many more. If display space is limited, as it always is at my store, simple reminders about voter registration and polling places can’t go amiss and take up very little room. This entry was posted in Uncategorized on September 10, 2018 by Leslie Hawkins.